Click on the arrow to open the top down menu. 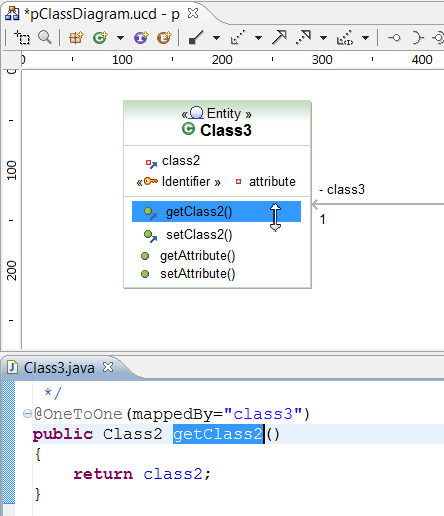 Then move your mouse on the first class and click. 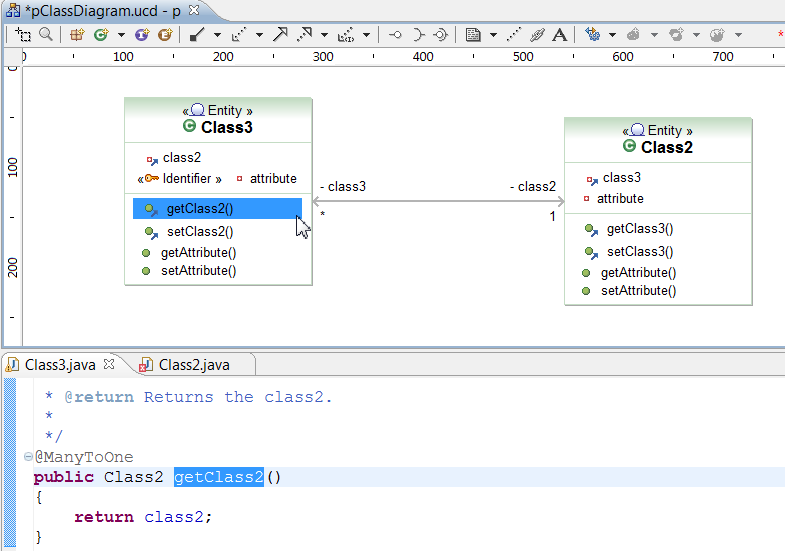 finally move the link to the second class and click. 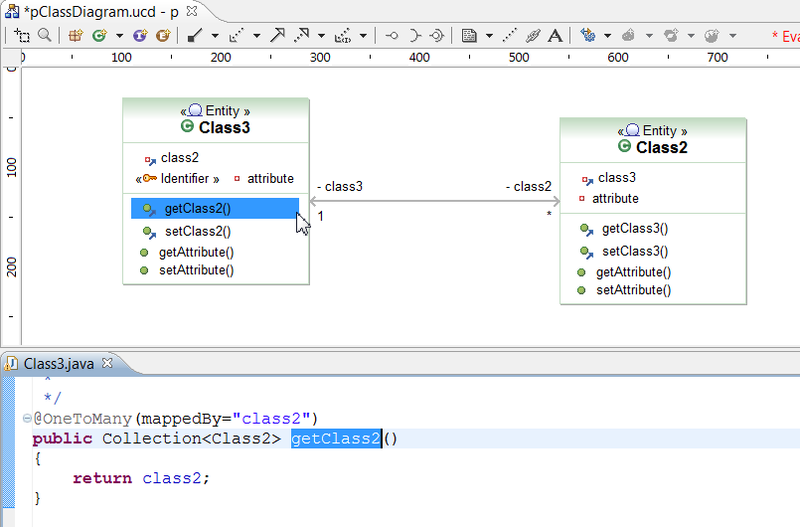 The annotation has been added on the getter and the UML editor has been updated. 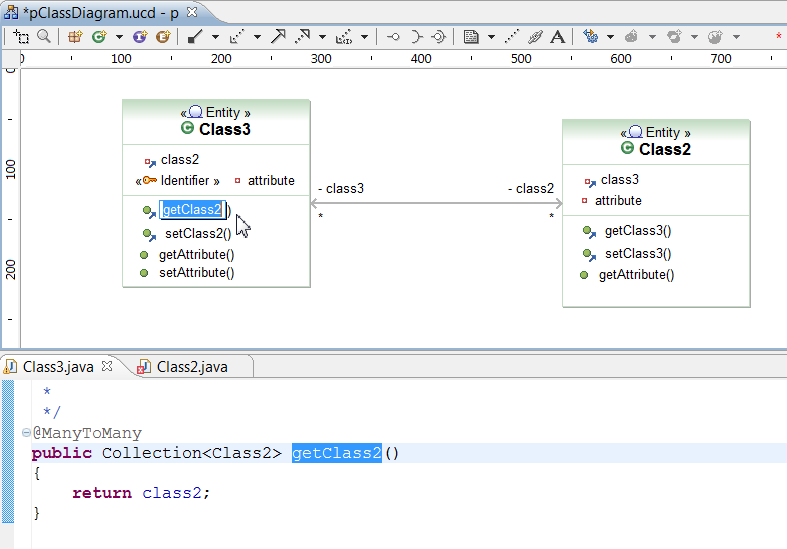 Please note EclipseUML will only create annotation on getters. It a different choice than Dali using attributes, but we think this is a better way of codding.